The Syracuse Downtown Farmers Market came to a close for another year Monday. 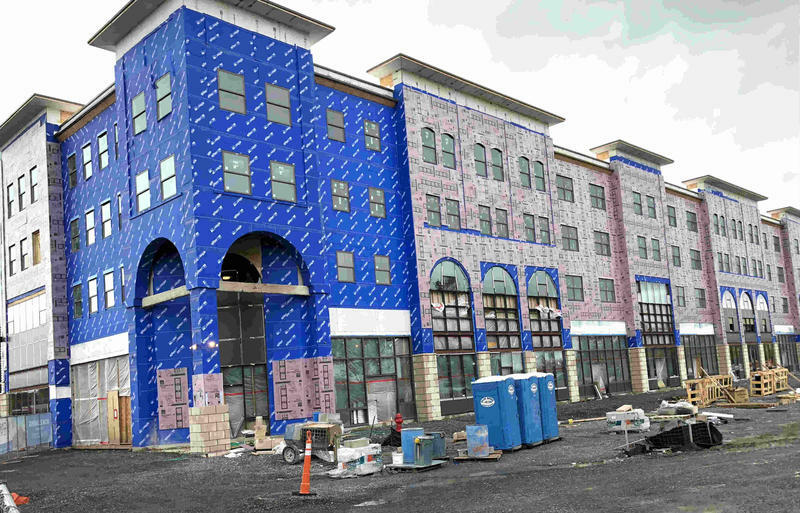 Change might have been the watchword for the day – due to the season and the changing nature of downtown. 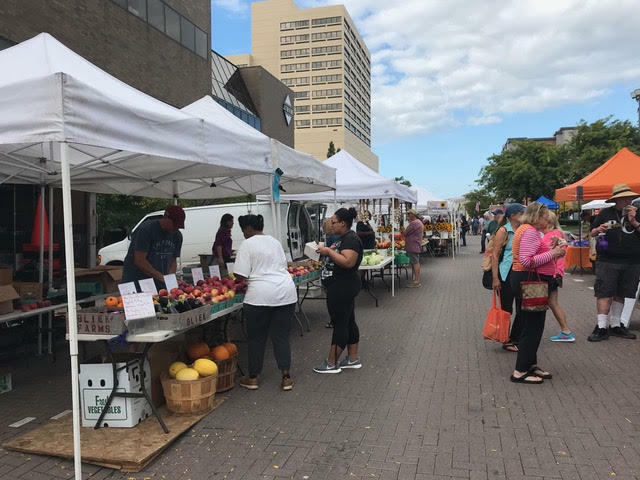 Syracuse's Downtown Farmers Market closed on Tuesday. WAER's Chris Bolt reports what has changed for the farmers and the city. 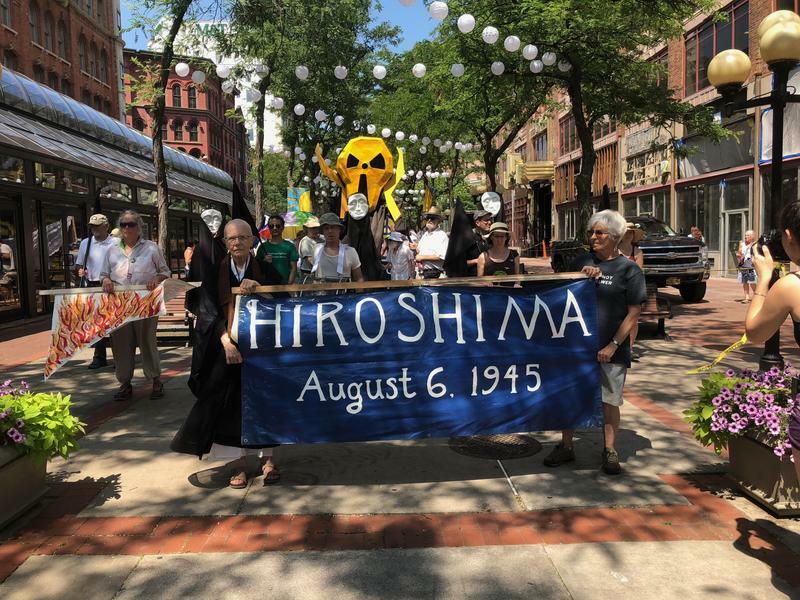 The Syracuse Peace Council organized marchers to take to the streets of Downtown Syracuse on Monday in a local procession honoring the 73 year anniversary of the atomic bomb dropped on Hiroshima in August, 1945. 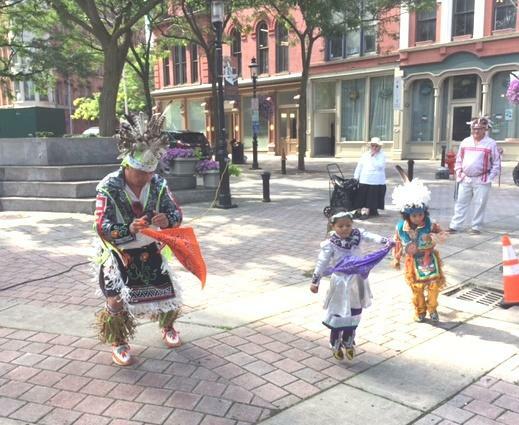 The Syracuse Peace Council marched in Downtown Syracuse to commemorate Hiroshima Day. TCG Player is expanding its downtown office in the Galleries of Syracuse this summer into a headquarters like you’ve never seen before. The tech start-up will be renovating 44,000 square feet into an open floor, fantasy themed space complete with an enormous dragon hanging overhead with a two-story slide for a tail. 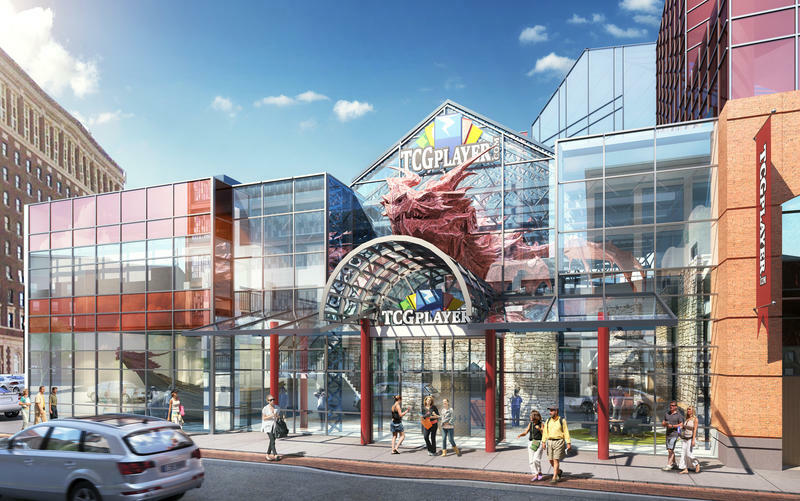 TCG Player's new, expanded headquarters aims to inspire both its employees and those in the Syracuse community. The latest Downtown Living Tour showed people are still intrigued by apartment life in Syracuse. 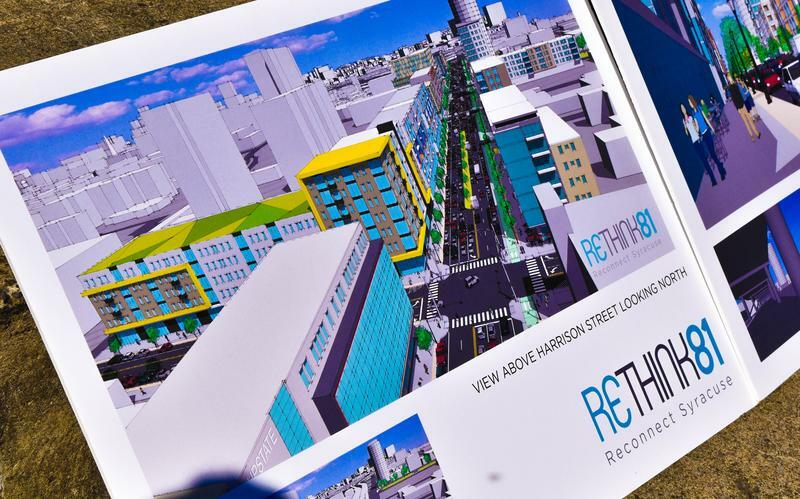 This weekend’s was the 12th annual event put on by the Downtown Committee, and showcased 9 places that could be your next residence. WAER’s Chris Bolt went along for the tour. The 315 is a brand new WAER original podcast hosted by Joe Lee and Kevin Kloss. 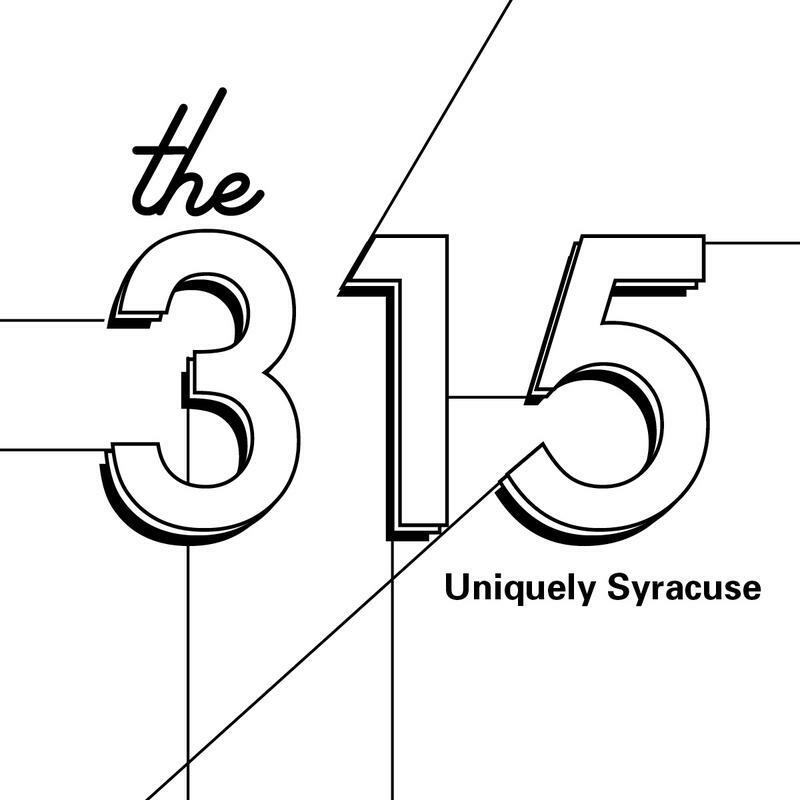 The purpose of The 315 is to foster a positive view of the region by highlighting local individuals, businesses, and organization that are bringing life to the Syracuse area. On the first episode we get a guided tour of the new Redhouse Arts Center and talk about what this new space means for downtown Syracuse and the arts community. Visit The 315 Facebook Page for a visual tour of the new Redhouse Arts Center. Have you shared an opinion with others or on social media about the bad things we have to deal with living here? Or perhaps you’ve come to the defense of our CNY lifestyle? 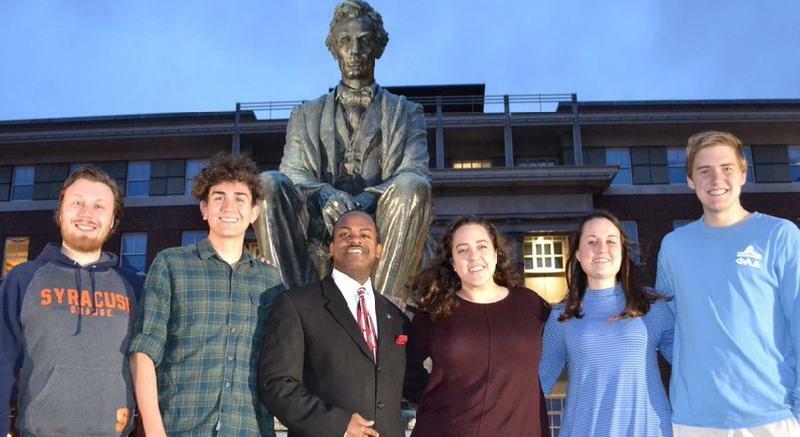 Believe in Syracuse (BIS) founder, John DeSantis created this organization to address this debate. Have you ever wanted to attend an ice block party outside in the cold? Maybe you never thought of it, but you’ll get your chance next month at the 34th Syracuse Winterfest. President Bill Cooper says the location for the block party is outside the Marriott Syracuse Downtown. “Well, they’re making a huge ice-bar which will be featured for the cold-spell. Then, they’re blocking-off Warren Street with food trucks, a warming tent, entertainment… culminating with fireworks off the parking garage." Syracuse residents rallied today to change the Interstate-81 overpass to a road system known as a “community grid”. They say that the I-81 overpass fragments and segregates the city. Robert Doucette is a member of “ReThink 81”, an organization pushing for the community grid. He says grid proponents are eager to see the results of a city-sponsored study on the overpass. 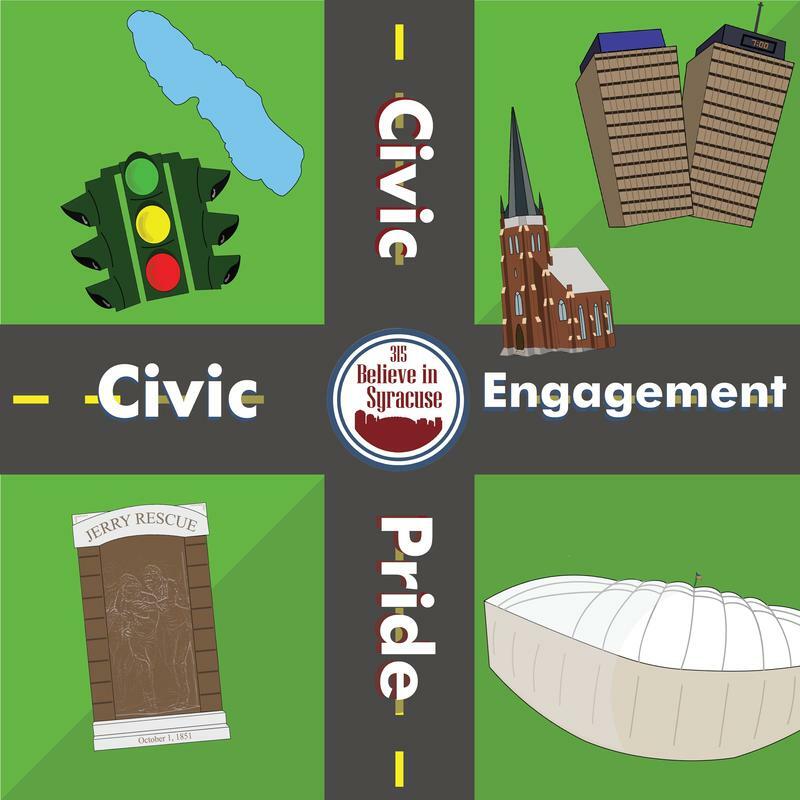 An event that highlights 'gathering together as a community', with music and culture will fill Hanover Square in Downtown Syracuse July 28th and 28th. The Stage of Nations Ecofest organizers hope the event is entertaining and healing. One Syracuse mayoral candidate has a vision for the city’s west side to address poverty and improve education. Syracuse native Alfonso Davis is seeking the Democratic Party nomination. Davis has made a priority of easing socio-economic troubles in poorer neighborhoods, coming from poverty himself. He empathizes with frustrations people on the west side might feel.